In one of our courses this semester, my classmates and I had to develop cocktails as an assignment. These cocktails only had one requirement — they needed to incorporate beer into the recipe somehow. During the presentations I was extremely impressed with all the drinks that they had developed and wanted to share a couple of my favourites with the rest of the world. Also, with the holiday season bringing families together, this could be a good way to ease non-beer drinkers into craft beer. All of these cocktails require very little in terms of equipment, though you may need to go out and add a few spirits to the liquor collection. This cocktail combines the saline and citrusy aspects of both a margarita and Gose. It’s exceptionally refreshing and the carbonation from the Gose helps brighten up the base cocktail even more. Take lime wheel or wedge and use it to wet the edge of a rocks glass. This cocktail is a mashup of the Caesar (Bloody Mary w/Clam Juice) and the Michelada. Like the Caesar, it will make a great brunch cocktail to help you get over that hangover from the night before. It’s a nice and smoky beverage that you could use to introduce the Caesar lover. 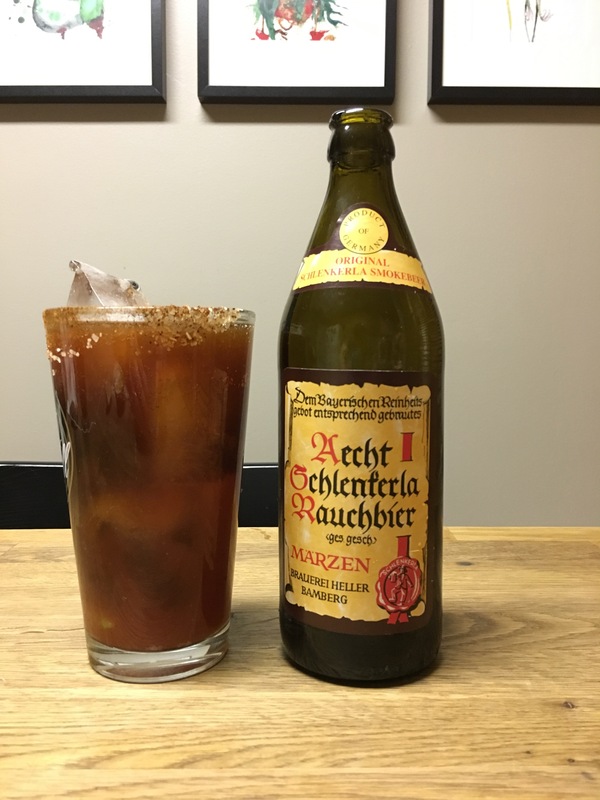 It gets its smoke from a combination of German Rauchbier and a chipotle infused vodka. This cocktail combines a Dry Irish Stout and Dry Cider to create a very pleasant and beautiful beer float. It’s inspired by the Black Velvet, though with a few extra spirits added to change up flavour a bit. This uses some fairly sweet components, so it’s best to use drier ciders, otherwise it may be too sweet to enjoy. These were just a couple of the simpler cocktails that were presented and I hope you’ll get a chance to give them a try over the holiday season. Are there any other cocktails you’ve developed or know of that use beer as a component?